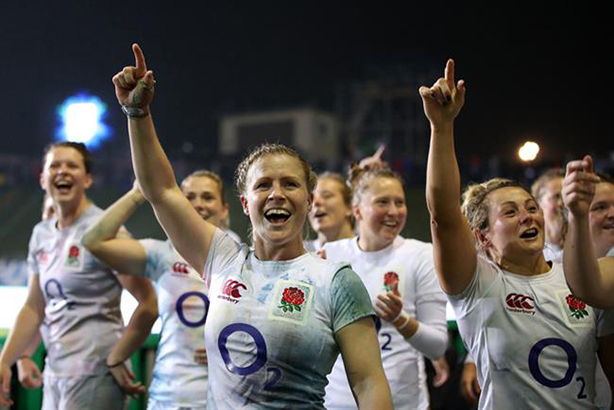 O2 has brought back the "Wear the rose" call to action for England Rugby fans - this time to support the women's team as it begins its world championship defence this week. The longstanding England Rugby sponsor has launched an online film showcasing dramatic moments from the team in action, set against a version of Rodgers and Hammerstein’s My Favorite Things from The Sound of Music. The Women’s Rugby World Cup kicks off tomorrow (9 August) in Ireland, when England take on Spain, and is being broadcast by ITV. England won the last tournament in 2014, beating Canada in the final. The film was created by Jim Capp, Jonathan Parker and Chris Birch at VCCP, while Forward is handling the media for O2. It will be available on O2 Sports’ social channels and across both broadcast and programmatic video-on-demand services including Sky, ITV and All 4. O2 launched the original "Wear the rose" campaign in 2015, when England hosted the men’s Rugby World Cup. At the time the brand said it was the most "significant" campaign of its 20-year association with England Rugby. Throughout the tournament, O2 will also encourage fans to pledge their support to England Rugby using #WearTheRose across print, out-of-home and social channels to spur the team onto victory. Gareth Griffiths, head of sponsorship at O2, said: "'Wear the rose' is about galvanising support, getting behind the team every step of the way. We know that O2 customers and fans love rugby – the women’s game is fast, powerful and full of skill, so we’ve made sure this comes through at every stage of this new campaign." Who won the sponsorship tournament in the Rugby World Cup?